One of Olhausen’s most popular tables, the Huntington has a masculine beauty and a strong design. Available in a wide variety of stains and sizes, it can be customized to meet the needs of your home. 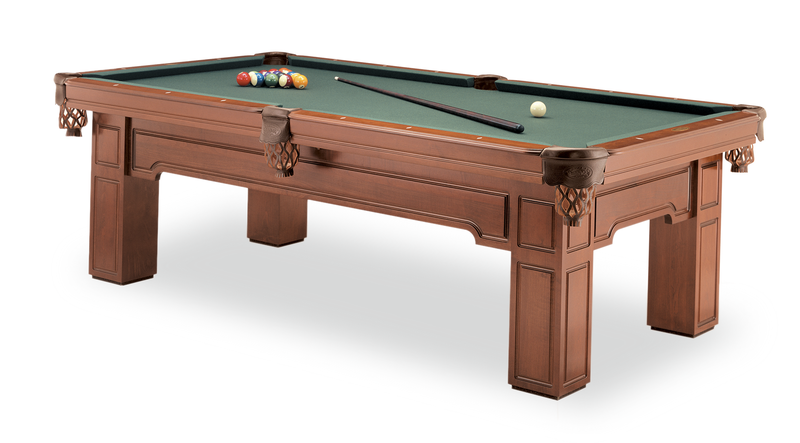 The Olhausen Huntington pool table. A classic design available in a variety of stains and sizes. Shown in sienna.